Home > News & Events > News > How Efficient Is the 2018 Chevrolet Impala? How Efficient Is the 2018 Chevrolet Impala? The slick-looking, luxurious flagship sedan in Chevy’s lineup, the Impala has impressed car owners for years. Its spacious interior gives people of all sizes enough room to be comfortable behind the wheel, riding shotgun, or in the back seat. That’s enough about its aesthetics, how efficient is it? As a bigger car, the Impala doesn’t get quite as good of gas mileage as the Malibu. However, it's combined 25 MPG (EPA-estimate) still compares well with other similar cars. The 2018 Ford Taurus and 2018 Chrysler 300 only average up to 23 combined MPG. In the city, you can expect to get 22 MPG from your new Impala, and as much as 30 on the highway. Getting 30 highway MPG is a staple and a number that automakers strive to hit. We’re confident that the Impala’s first-class feel combined with its efficiency won’t disappoint you. 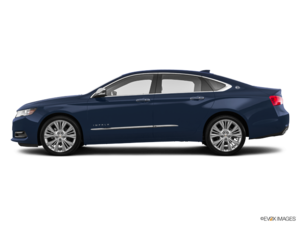 Available in three trim levels, the new Chevy Impala starts at an MSRP of $27,895. This price tag comes on the base LS. Move up to the LT trim and the starting MSRP goes up to $30,220. The Chevrolet Impala Premier starts at $36,420. With different add-ons available on each trim level, the pricing can fluctuate.